Chartered Accountant at J H Waring & Co. Accountant and Secretary at Southern Bros Ltd and Hulton Motors Ltd. Represented Halliwell Ward 1975-79, Astley Bridge Ward 1983-95 and from 1998. Leader of Conservative group on Bolton Council from 2002-2012. 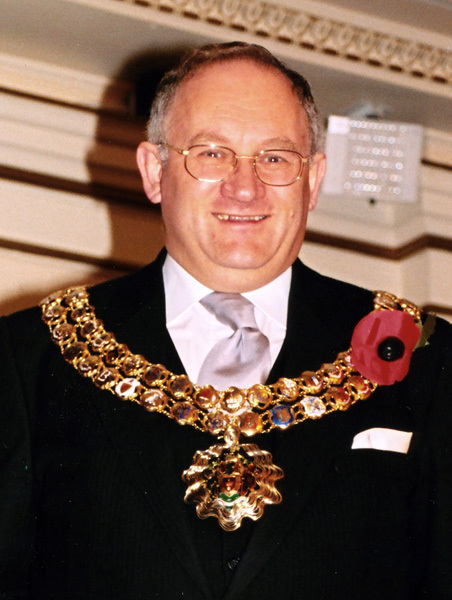 Awarded OBE in 1994 for public and political services. First Chairman of the North West Regional Board of the Conservative Party 2007. Vice-President of the Conservative National Convention from 2008. Held senior positions in Bolton Conservative Party including parliamentary agent. Unsuccessfully contested Bolton South East constituency in the 1983 General Election. Served on Greater Manchester Passenger Transport Executive and on NW Health Authority. Secretary of Mortfield Football Club, Halliwell and a devoted supporter of Bolton Wanderers. At a Conservative Party Conference he once advocated that all Social Services Departments be abolished and their role transferred to local Health Trusts. His Wife, Christine, was Mayoress. 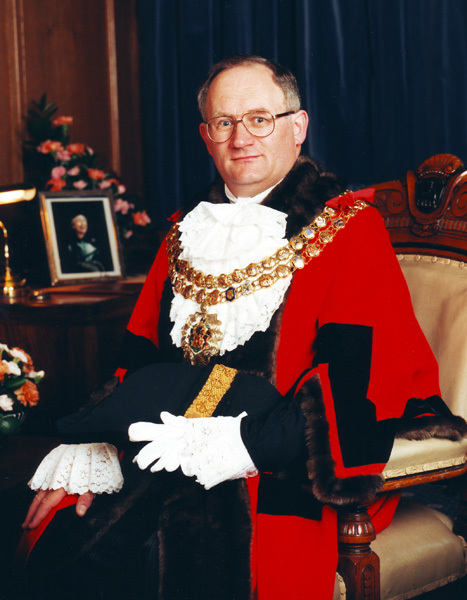 Formal portrait of John Walsh as Mayor of Bolton. 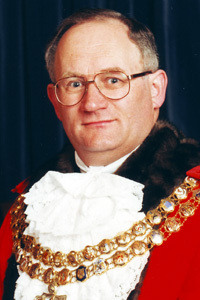 Portrait of John Walsh as Mayor of Bolton. 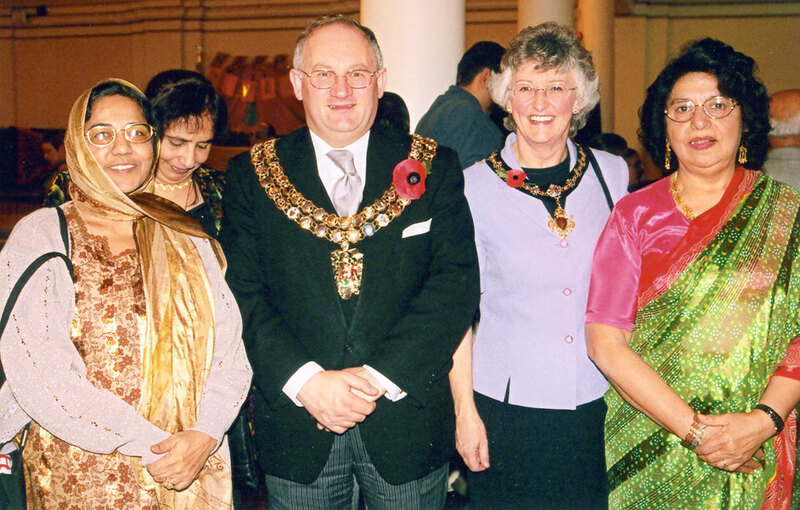 John and Christine Walsh as Mayor and Mayoress of Bolton.